much love, illy: sponsor love + giveaway with Kintage - CLOSED. 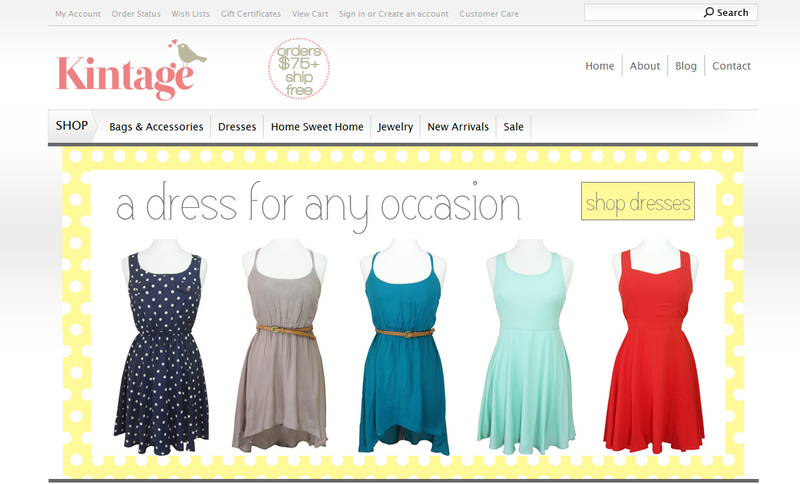 Kintage is a shop, founded in early 2012, that features whimsical, romantic inspired clothing, jewelry and accessories. While Kintage is growing quickly it is currently run by Aileen (and occasionally her supportive husband) who handpicks each item herself. We carry only the loveliest of items so that when you look at your closet or jewelry box, you feel inspired. It's truly Kintage's belief that every girl should feel pretty! i am a sucker for online clothing and accessory boutiques - and Kintage is no exception. with their collection of gorgeous dresses as well as fun accessories, even branching out with a home decor section, Kintage will easily become one of your favorites! i especially love the variety of vintage-inspired pieces and the pops of bold color throughout the shop. and today a lucky Much love, illy reader has the chance to win $35 of Kintage Shop credit - woohoo! that is some seriously loot there with so much to choose from their incredible shop! i am especially eyeing THIS and THIS too! visit Kintage and comment with what you would spend the shop credit on if you win! use coupon code LOVEILLY for 10% off of your entire Kintage order! Giveaway is open to ALL Much Love, illy reader thru August 27th. Winner will be announced on August 28th. queen of hearts dress, definitely. Love it! I love the ivory drop necklace! The Georgia peach polka dot dress is adorable! I love the Georgia Peach dress. Love the Queen of Hearts dress! Liked Kintage on fb as well!! oooh! i love the shake it out polka dot dress! i also love their simply mint envelope clutch! i love the georgia peach polka dot dress! so pretty! I'd spend the credit on the Line by Line dress. Love it, but hoping it wouldn't be too short on me. Thanks for the giveaway, Ilene! I love love LOVE the Dreaming of Fall High-Low Dress in Teal!! i like the shake it out polka dot dress! i follow kintage blog on bloglovin'! I follow kintage on pinterest as TheEnglishBreakfast! Ooo, I love their shop! I'm loving all their jewelry, so that's what I'd get. Love the Shake It Out polka dot dress! Thank you! Great giveaway! I would love the People Eater Infinity scarf, I think that's what I would buy! The Georgia peach dress is adorable! i am following the Kintage on Pinterest. i am following Kintage on bloglovin too! I would get the only have eyes for mint dress! I liked the Kintage facebook page. Love the Tea Party at Midnight Dress! So cute! I love the Tea Party at midnight dress, or the dreaming of fall!! Love the Grey "Line by Line" Dress. I have +Liked the Kintage facebook page. I am public GFC follower of your blog. I am a follower of the Kintage blog via Google Reader & Feedly. I'd get the Shake It Out dress. I like Kintage on FB. I LOVE the Queen of Hearts dress!! That heart on the back is so pretty! I love the adorable shake it out polka dot dress! shealennon(at)gmail(dot)com. I love the little camera pendant necklace. I've been looking for a cute little camera necklace for awhile now and really really love this one! Just followed Kintage on Pinterest! I love the Georgia Peach Polka Dot or the Colossal Color Dress! Loveee them! i like the anabelle spring floral dress. i liked Kintage on facebook. Already following your blog via GFC. followed you and kintage on twitter! following Kintage blog via Bloglovin'. I like the Tiny Gold Camera Necklace. I like Kintage on Facebook. 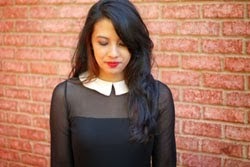 The Tea Party at Midnight dress is so classic and chic! Love love love!! If I won I would probably get the Annabelle Spring Floral Dress! And I'm now following Kintage on Pinterest! I follow Kintage via Bloglovin'! I love the Floral Sketch Infinity scarf! I follow you and Kintage on twitter! LOVE the queen of hearts dress, bold color plus a cute cutout in the back! I also followed you and Kintage on Twitter. I love the shake it out polkadot dress! yeay, love this giveaway, I would get the line by line dress, its so pretty! Oooh, what a cute shop! I'd totally use the credit towards Frannie's Black Floral Dress, the tiny camera ring, or the Floral Elegance purse. All so cute! Ooh, what an adorable shop! I can't decide between Take Me to the Fair and Only Have Eyes For Mint — they're both adorable. I follow Much Love, Illy with GFC. I follow the Kintage blog via RSS feed. 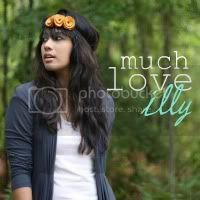 I follow @muchloveilly and @ShopKintage via Twitter! Ooo I would definitely buy the triple strand bracelet in sand! Cute dresses! I think I'd use it on the Line by Line dress. So simple but so sweet. i also love the queen of hearts dress, even though it's $40. i like the Puppy Love Statement Ring. i love dogs! and i'm already a fan on facebook! posted the giveaway on facebook too! I would spend it on the Flower purse that I have been wanting for MONTHS!! I'd buy the Shake It Out polka dot dress! Only Have Eyes for Mint Dress would be fun to purchase! I would buy the dreaming of fall high/low dress in sand.